Did a recent storm leave hail damage to your vehicle? Get into a collision or fender bender? 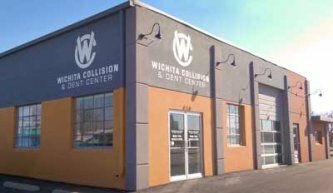 Let the professionals at Wichita Collision and Dent Center get your car truck or van running and looking like new again. We area full service body shop located in the heart of downtown Wichita. We work with all insurance providers to repair your vehicle. We can even help you with a rental car or help sort out your insurance deductible. Call us at 316-263-3000 or stop by and see us today at the corner of Kellogg and Washington and let our skilled technicians get your vehicle looking like new!